There have been massive amounts of great looking, and big onions at our local farmers market lately. A couple of my kids love them, and in all honesty I find some joy in slowly cooking onions for a long period of time. Maybe it’s the perfume of the onions that scent my house, or maybe it is the slicing of the onion into thin shreds. Who knows, but at the end of the day I simply love onions. So I bought a big old white onion from the market, and as I laid my purchases on my kitchen counter, I began to think of what to make with some of these items. My daughter loves ‘grandma’s dip’ whenever we go to their house. It’s basically store bought french onion dip, and that is what sparked my thought. Maybe (just maybe) I would make a french onion style dip for her, but you know with a twist, and an umami one at that. That’s when the onion jam came into play. Start as you normally would when caramelizing onions. Heat a large skillet on medium-low heat, add the butter, and add in your onions. Shower the onions with a generous pinch of salt, then let the games begin. The goal is to cook these nice and slow, until they are a nice golden color. This process can take about 40 minutes, or longer, but be patient and stir throughout the process. Once you achieve a golden color, then it is time to add in your garlic and allowing that to cook a minute or two, stirring the garlic into the onions. After a minute or two, add in the cracked black pepper, fish sauce, lime zest, and lime juice. Give the mixture a good stir, raise the heat just a bit, and cook another minute or two. 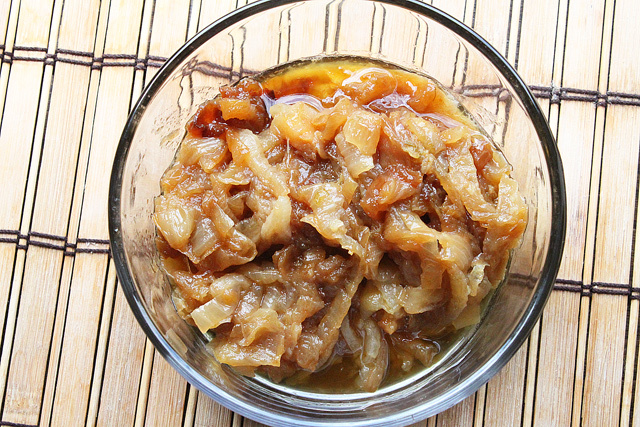 Remove the onions from the heat, place them in a bowl, and let them come to room temperature. The real kicker here is the fish sauce and lime. 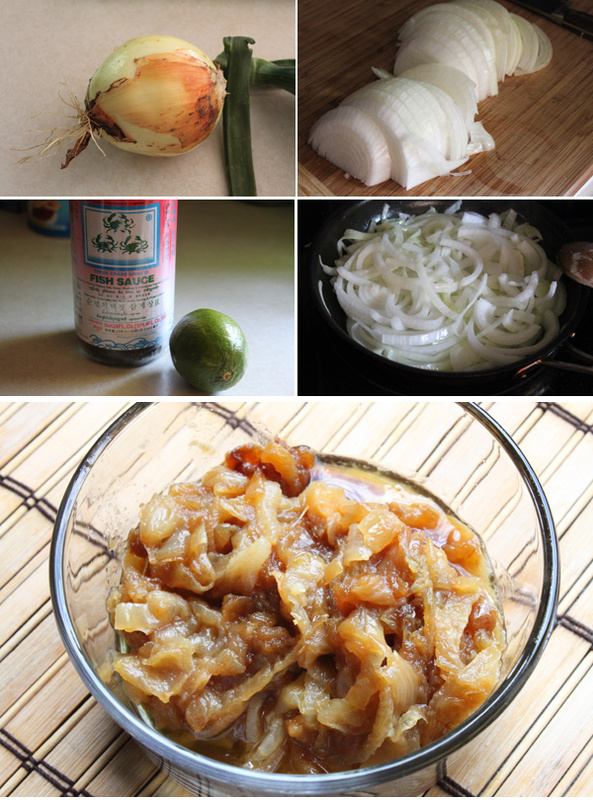 Those two escalate these onions to a whole new level, and the result is nothing but pure deliciousness. I’ve yet to mix this into a dip for my daughter as I have been using it on sandwiches, but let it be told I will be making her one of her favorite dips in the near future! Hope you enjoy.